Afghanistan, which stands at a crossroad of the ancient civilizations in the East and West, has kept a unique treasure in different parts of its land. We have explored these Cultural Heritages of Afghanistan which has been destroyed or is at a risk of ruin from armed conflict in our blog. Hundreds of Archaeological sites, monuments and unique cultural and historical objects relating to different periods, such as Greco Bactrian, Kushan, Sassanid-Ephtalits, Hindu Shahis, and Islamic, were unearthed in this country. The destruction and damage sustained by many important heritage sites throughout these regions are sobering. These endangered sites are among the greatest cultural treasures in all of Asia. 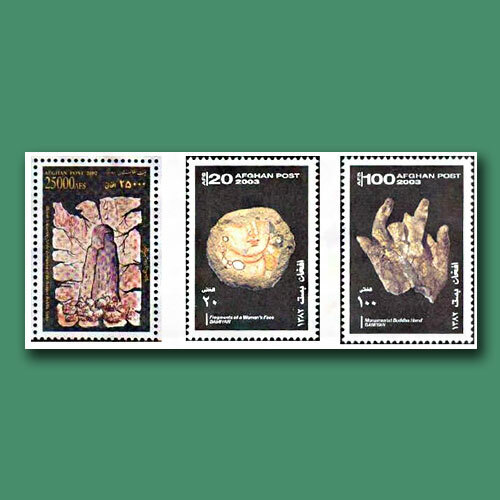 Cultural heritage of Afghanistan on stamp.